building a new paradigm and new local institutions. September 7, 2014 (LocalOrg) - A popular magazine that should probably be more popular is Make. While this is always subject to change in the future, for the time being, it is actually a magazine that empowers rather than manipulates like its competitors on the news stands. While Popular Mechanics may at one time in the distant past have actually helped people learn more about the world around them and enabled them to change it - it has become more of a clearing house for covert Fortune 500 propaganda amid a torrent of overt advertisements. Perhaps understanding the power of the emerging maker-movement and the fact that an entire segment of the population is moving beyond helpless dependency on the Fortune 500, Popular Mechanics, as well as the special interests it represents, has attempted to co-opt it. Its latest issue with its cover story titled, "The Makers," features many of the prominent personalities within the maker movement. It also, however, features at least two picked straight from big business - including representatives from Autodesk who helped lead the charge for SOPA/ACTA as well as war profiteer General Electric. Also in the Popular Mechanics issue was an insidious article titled, "Junk Science," with the subtitle, "Flawed studies, agenda-driven research, and open-door journals are putting the public at risk." One would expect to see a searing indictment of big-corporate R&D, fraudulent studies to push poison, GMO, and useless or dangerous pharmaceuticals - instead it was a defense of just these very big-business rackets and a condemnation of those attempting to expose them. The article slams activists fighting to warn the public about the dangers of the Fukushima nuclear disaster, big-pharma vaccines, and big-agri's genetically modified organisms. Clearly, Popular Mechanics couldn't care less about the principles of open source, decentralization, and progress promoted by the true maker community, and instead, is attempting to flatter them and bring them back into the fold as members of their dark, insidious club of corporate servitude. 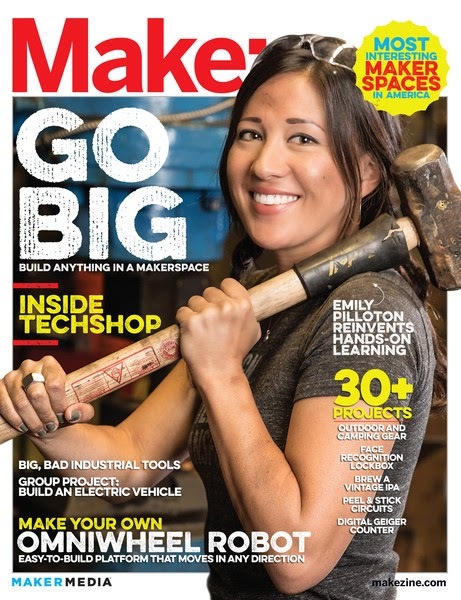 Throughout the same issue, Make introduces and connects readers with decentralized, local, independent institutions called makerspaces, hackerspaces, community labs, and Fab Labs (fabrication laboratories). It is in these local institutions that people can begin moving away from the consumerist paradigm and toward a world they truly control - or in other words - real freedom rather than the facsimile provided to us by so-called "democracy." The personalization of fabrication challenges the historical separation of education, industry, infrastructure, aid, and art. This is a historical moment analogous to the appearance of the Internet that required the invention of new organizations to create and connect it. As important as that was, the ability to turn data into things and things into data poses an even larger question that fab labs are helping answer: How will we live, work, and play in a world where anyone can make (almost) anything? In other words, if you can make anything you want locally by yourself or with your friends, family, and community, what use would you have for Walmart, General Electric, Ford, or other big business monopolies currently squatting on humanity? 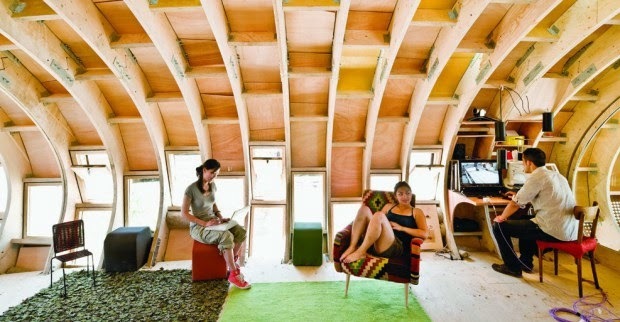 How will we live, work, and play in a world where anyone can make (almost) anything? It is a question we will finally get to answer honestly ourselves without the suggestions of a TV commercial or a paid-pen at Popular Mechanics coaxing us along. While Make Magazine is on the right track today - this could change at any time. People must learn to look toward principles rather than personalities, political parties, brands, or products. When we fail to do this, we may find ourselves defending the indefensible, simply because we cannot get past our pride and admit we strayed from principles we believed in because we were busy following people, parties, brands, and products we mistakenly thought embodied these principles. by the people, for the people. Like any movement, personalities will be tempted and fall, while others will persevere. For the maker movement, people must see the principles of open source software and hardware, transparency, technological progress, and collaboration as their guide - and when personalities and products fall out beyond this, we must fill the void rather than follow them into oblivion. This way we will always have a "Make Magazine" even if it is not "the" Make Magazine. Still, for now - Make is impressive - a treasure trove of information, ideas, contacts, and possibilities laid out in ways you will not find in other magazines you typically find littering news stands. Like all other resources, we must make the most of it while we have it and be wary of the infiltrators attempting to make inroads and pollute the maker movement as Popular Mechanics and others can be seen demonstrably doing. 3D printers, DIY biology, and the maker movement is now too big to be laughed off or ignored. It is now something big-business intends to first try to co-opt, then fight and destroy. Through SOPA/ACTA and various other intellectual property schemes, we can see in many ways, the fight has already begun. Defining and defending worthy principles is now more necessary than ever - and recognizing the folly of following individuals - be they people, companies, or brands - is utter folly. A sense of pragmatic awareness of principles over people and parties may help makers succeed where politics has habitually failed. Can this movement escape the pull of big-business? Or will it tumble back to Earth? The answer is entirely up to us.